Dyrobes is a complete rotordynamics software tool that is powerful and versatile, yet easy to learn. Developed for the working engineer, Dyrobes offers complete rotordynamic analysis, vibration analysis, bearing performance and balancing calculations based in Finite Element Analysis. The software combines an intuitive Windows-based interface with sophisticated modeling and analysis capabilities that can satisfy the most demanding industry requirements. Dyrobes was created by Wen Jeng Chen, Ph.D., P.E. Under continuous development since 1991, Dyrobes is has been rigorously tested and validated by academic researchers and industrial engineers. It is widely used by government agencies, universities, and industries around the world. Dyrobes, while extremely powerful, is easy to use and contains many features that allow for modeling multi-level complex rotors and support structures. There are many included utilities that reduce the amount of “grunt” work required to do accurate analyses. I know of no greater value in a rotordynamics package today. 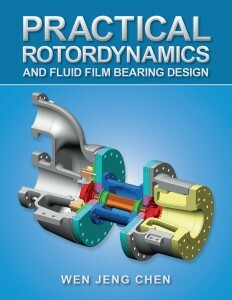 We are pleased to announce the publication of Dr. Wen Jeng Chen’s new textbook, Practical Rotordynamics and Fluid Film Bearing Design.